This is my favourite Sentinel photograph from the 1980s. No matter how bad things get at my beloved Port Vale (and right now it’s pretty bloody grim) it is an image which reminds me that there will always be hope. 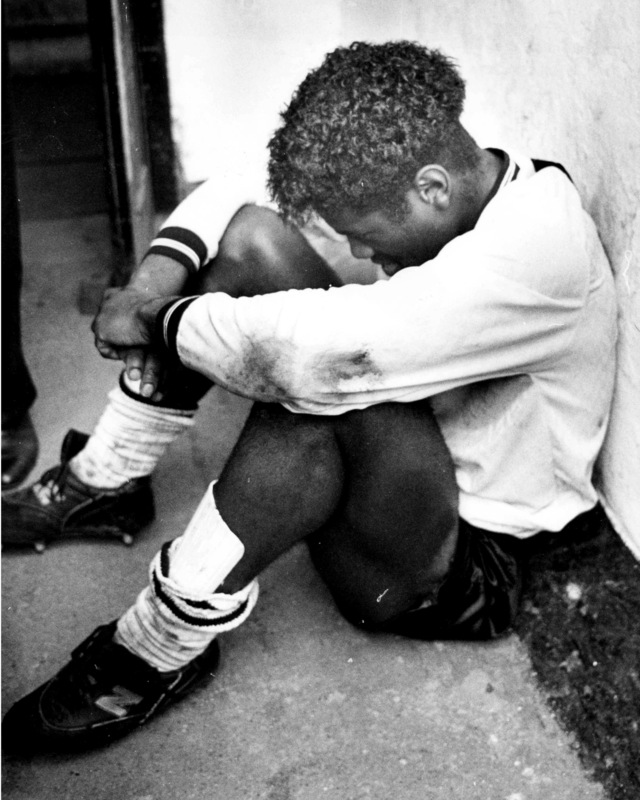 The picture was taken on June 3, 1989, and shows Robbie Earle shedding tears of joy as he rests in the players’ tunnel at Vale Park after scoring the winner in the old Third Division play-off final (second leg) against Bristol Rovers. It is a wonderful image that, for me, is evocative of a special time in sport – a time before the internet and 24-hour TV and radio ruined the mystique surrounding many of our heroes. Robbie – or the ‘Black Pearl’ as he was affectionately known in Boslem – was the best player I ever saw in a Vale shirt. He had it all: Skill, good in the air, a burst of pace and a never-say-die attitude which is sorely lacking in many modern-day pros. The fact that he was a local-lad-made-good just added to his aura and he was adored by Vale fans. He still is. Robbie played almost 300 games for the club between 1982 and 1991, scored 77 goals and is inextricably linked with the most successful period in Vale’s history. He achieved similar cult status with Wimbledon fans and went on to represent Jamaica 33 times – famously scoring the country’s first ever goal at a World Cup Finals. One of the few footballers to make a successful transition from the game to punditry, Robbie is – in my opinion – one of the most charming, articulate and insightful commentators on the modern-day game. But for some storm in a teacup in 2010 over the misuse of World Cup tickets by someone else, his star would still be rising with ITV. As it is, he is currently plying his trade in the U.S. (as well as being a columnist for The Sentinel, of course). Robbie hasn’t ruled out a return to Vale Park some day – perhaps even via a foray into management. However, with the club in disarray and a financial basket case, that possibility seems remote at present and I’m more than happy to remember him as one of the best attacking midfielders in the country who just happened to wear black and white. 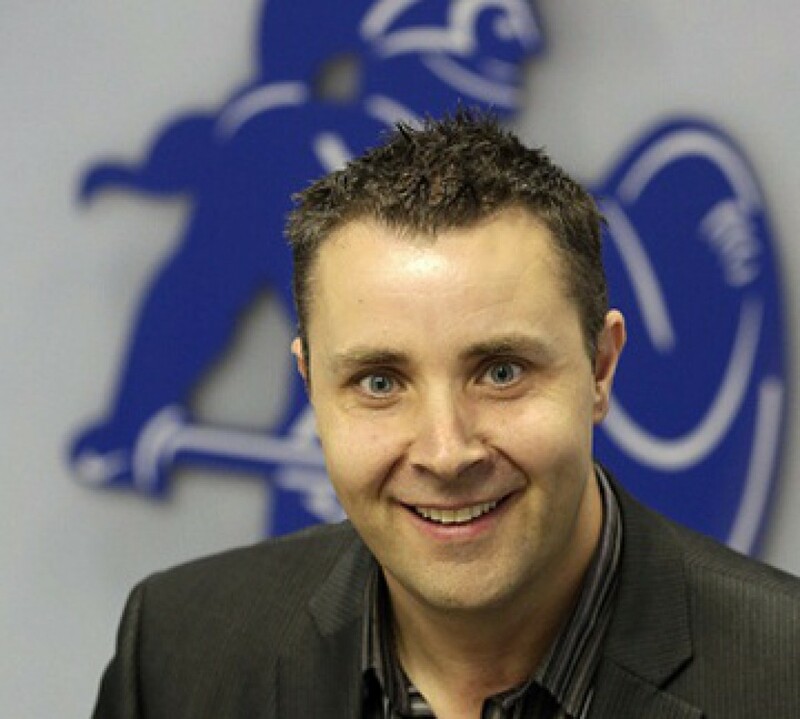 I first met Robbie properly when I sat next to him at a Sentinel awards event in 2008. Having arranged the seating plan I will confess that I deliberately sat him next to me and spent all night like a kid in a sweet shop forcing him to reminisce about his time at Vale. He was charming and patient and took my endless prattling in good humour – sharing dressing room anecdotes and more recent stories relating to his former team-mate turned Hollywood star Vinny Jones. A few months later, when I was diagnosed with cancer, a parcel arrived at my home. Inside was a signed t-shirt. The message read: “From one Vale legend to another. Best wishes, Robbie Earle x”. It was the best tonic I could have wished for. Meet Robert Fitzgerald Earle MBE in the street and you will find him a warm, self-effacing and engaging bloke who still has a genuine passion for the club where he made his name. I usually agree with Martin on almost all matters concerning Port Vale, but in my opinion the best period in the club’s history was during the early 1950s when a team of mostly local lads beat many of that period’s top teams – including the cup winners and first division clubs that were encountered. This was, of course, before Martin’s footballing times. Even some twenty years before he was born, so 1982 to 1991 was most likely the club’s best period in Martin’s life-time.